From hosting websites, email, applications and online file storage, the cloud has become a popular alternative to traditional IT services among businesses. In fact, it is almost impossible to find a company’s data center that does not employ cloud-based services of some kind. However, reported incidents of cloud hacks and server failures can lead some small business owners to be wary of a service that still has much confusion surrounding it. 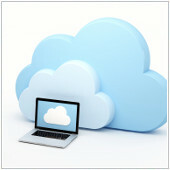 So what are these common misconceptions about implementing cloud computing into a business? Here are a few myths people believe about the cloud. Security is a necessity for online users. And the most prevalent misconception about the cloud is the idea that cloud services lack appropriate security measures to keep data safe from intruders. Most users also think that the data stored in the cloud can be easily accessed by anyone, anywhere and at anytime. But the truth is it’s actually a good idea for small businesses to use cloud services. Small companies usually can’t afford to hire an IT department let alone train them to deal with online security threats. Cloud providers, on the other hand, offer services such as layered security and antivirus protection that not only specialize in keeping infrastructures safe from hackers but are available at a price that is much lower than you would pay for in-house IT staff. Additionally, large cloud-based services such as Google Apps for Work and Office 365 are supported by an infrastructure that constantly installs, updates and patches, which helps manage security breaches. This significantly frees you from the burden of having to install the updates yourself and managing the overall security of your system. There is a misunderstanding about the role of encryption or rather how it is implemented to keep your data safe. Encryption is usually used for data in transition, where data is protected from anyone seeing it as it travels from one location to another on the Internet. But encryption can also be applied to data at rest, where data is encrypted on a storage drive. While cloud service providers already keep their physical storage drive well protected, some keep the decryption key held in software, potentially leaving the key vulnerable to intruders. If hackers were to successfully obtain the decryption key, they can simply access your encrypted data. That’s why some cloud storage services are much better than others in terms of keeping your data protected. With this in mind, you should understand that while every cloud service highlights their data security by demonstrating their encryption abilities, it does not necessarily mean that a cloud-based service that markets itself as such is right for you. When it comes to choosing the right cloud service, it is best to inform yourself about the security measures that a cloud infrastructure implements and look at how it can protect your company’s digital property. While cloud security is important, the responsibility for protecting data ultimately rests on the user. Misplacing mobile devices can leave your data vulnerable and make the cloud infrastructure insecure. It is also recommended to have verification mechanisms in place for devices that are used to access the cloud. Losing USBs or external hard drives obviously leads to direct data loss and can be easily remedied by backing up your files. This applies to files stored in the cloud as well. So be smart, and backup your files because it’s better to be safe than sorry. Like many online services, cloud-based services are not immune to technical difficulties. For example, some cloud businesses have suffered outages and server failures which corrupted files and may have lost data in the process. Regardless of these flaws, however, it is vital to note that using the cloud as your only source of data storage and processing can lead to problems in the future. Keeping backups of your files is always a good idea.